YAKIMA, WA - Residents of the Nile Valley in Eastern Washington are getting some extra help from the U.S. Army Corps of Engineers. The Corps specializes in rebuilding infrastructure after natural disasters and war. The State of Washington is struggling to keep the Valley passable after a massive landslide destroyed a portion of Highway 410. Get Out and Pick Some Berries! It's prime time for domestic and wild berry harvests - so if you haven't been out there yet, don't miss the season. There are general Berry Picking sites such as Pick Your Own and Farm Finder to find locations on a farm or in the wild. Please call the Farms for berry prices and season information. Also check out the Cascade West Fruit Source to find fresh markets on the west side of Washington. Blueberry Harvest Open by appointment, 8am to 6pm. Blueberries, apples and pears. 11901 Zier Rd. West Valley, Yakima, Washington 98951: 509.945.5406. Check out an online Farm Fresh Produce Map. 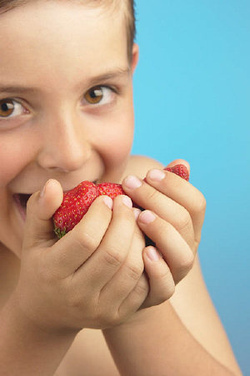 "Every child should experience the taste of a sun-warmed strawberry plucked right from its greenery, or a fragrant blackberry picked on a summer morning, for a berry never tastes quite as wonderful as those we popped into our mouths along some dusty road during childhood." Cece Sullivan, Seattle Times Cooking School. Flickr image taken by RevenueGal. In The sweet season: Northwest berries on their way Sullivan writes about the many varieties of Northwest berries including wild alpine berries, amber berries, concord berries and brambleberries. There are many blackberry-raspberry hybrids in the bramble family which include olalliaberries, boysenberries, marionberries, loganberries, waldoberries, olallieberries, chehalemberries and sylvinberries. Gooseberries are a variety of currents, and like many other berries contain potassium, calcium, phosphorus, niacin, dietary fiber and ellagic acid, a natural cancer- fighting substance that White Currant taken by Vadim Plessky. does not break down when cooked. Lets not forget about vitamins A, D, and C in those berries. They are great for jamming because of their high pectin content. In Sweet Season, Sullivan suggests two recipe sources. First is Kathleen Desmond Stang who incorporates our Northwest berries to create delicious recipes in her Northwest Berry Cookbook. Second is Berries: A Country Garden Cookbook by Sharon Kramis which incorporates a variety of fruits and vegetables with images taken by Kathryn Kleinman. Northwest Berries and Grape Information is another great berry resource where you can learn about varieties of blackberries, cultivated strawberries, raspberries, blueberries, huckleberries, gooseberries and much more. July and August are prime months for domestic and wild berry harvests, with some available in the late weeks of summer. If you live in Yakima or travel there, here's a site to direct you to the blueberry harvest. Wildlife agents around the region are fielding more bear complaints than usual this month. 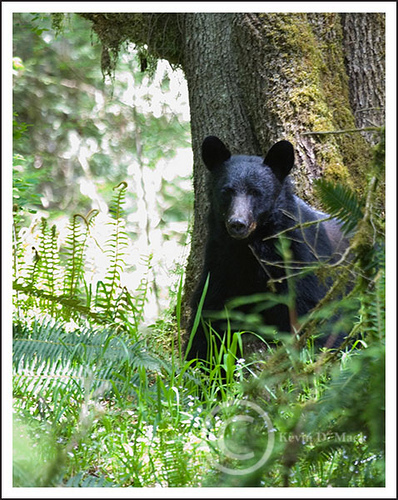 Correspondent Tom Banse reports on why bears are busting bird feeders and raiding garbage cans in high summer. Spring is when bears come out of hibernation hungry. That’s when you should see a lot of complaint calls. But this year, the calls to fish and wildlife keep coming. 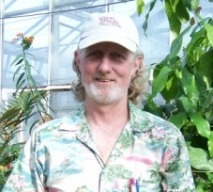 Jeff Boechler works in the Clackamas office of Oregon Fish and Wildlife. It’s the same story in the Corvallis district, in north Central Washington and northwest Washington. In the meantime, Boechler says bears are trying to find whatever food they can. Dog food, bird seed, garbage, or bar-b-q leftovers could bring an unexpected visitor. We ran across this video on UTube. Perhaps it will inspire you to organize a "gleaning party" of your own! KING: About 30 Indian women and girls sit peeling and pounding edible roots at the longhouse near Pendleton. They gathered the traditional food in the Blue Mountains and are preparing the roots for a feast. To help with the tedious work, they listen to music. KING: Usually, an elder would lead the group in song. But this music is recorded on a cassette. It’s coming from a boom box. And it’s not Columbia River tribal music. They’re Hopi songs, from the Southwest. That’s because none of the women here know their tribe’s songs. Marjorie Waheneka says boarding schools, parents who didn’t teach their children, and social pressure to be less Indian have weakened Native American culture and tribal knowledge. She feels a real sense urgency to pass on tribal traditions before they’re gone. WAHENEKA: Down in Warm Springs I was visiting with my brother and I was asking him how the horse herds were doing. He said, ‘Well we have to compete with the computer, and video games, and music he said and girls. He said, ‘We don’t have any young cowboys anymore to help us round up. We’re losing that cowboy image and the wild horses. KING: Just like wild horses, it’s hard to pull young girls away from their boyfriends, cell phones and sports activities to dig roots in the mountains. But Waheneka says she’s trying the best she can to be patient.